Welcome to Canvas Art Depot - the best place to create your very own custom photo canvas prints, glass prints, collage canvas prints, personalised serving boards, and photo mugs. When it comes to turning your photo into stunning wall art, we've got you covered. From competetive prices to amazing customer service, we're pretty good at what we do and we'd love for you to experience our quality products and down-to-earth support. We're also Australian-based and pride ourselves on keeping it local, so check out our range and let us know if you have any questions. 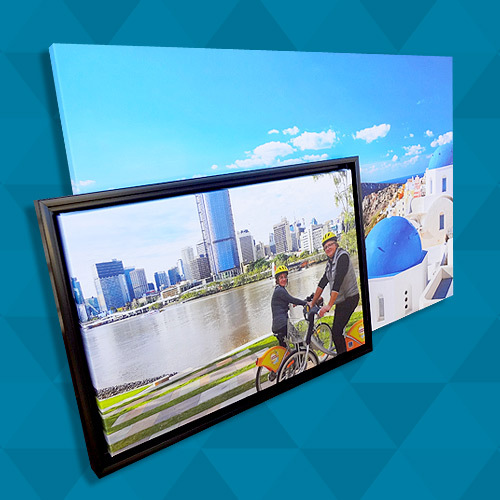 We specialise in custom canvas prints, including: stretched, floating frame, and split canvases. All our canvases are 360GM premium cotton/poly blend and come delivered ready to hang. Choose your type, size, upload your own photo and that's it! It couldn't be simpler. 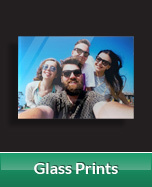 Glass prints are the ultimate way to display your photos. 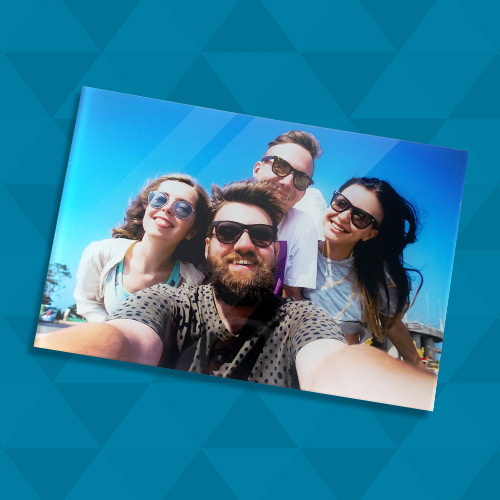 The reflective surface of the glass will bring your photos to life, making them pop with colour. Every detail of your photo will shine and we can guarantee that you'll love how stunning your new glass prints will look on your wall. 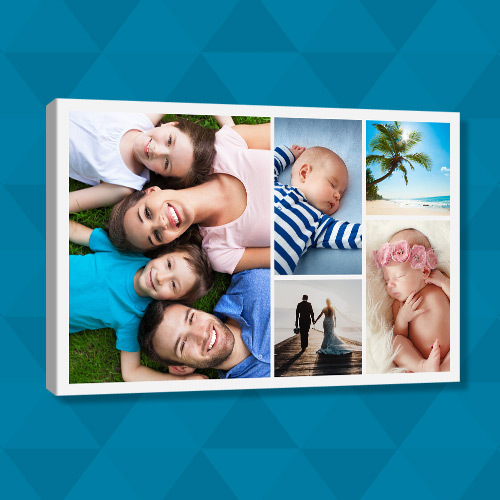 Create a collage canvas print using photos from an event or combine your photos into a theme. Collage canvases are a great way to rememeber those special memories that you want to be reminded of every day. Create your own masterpiece and hang it on your wall for your friends and family to admire! 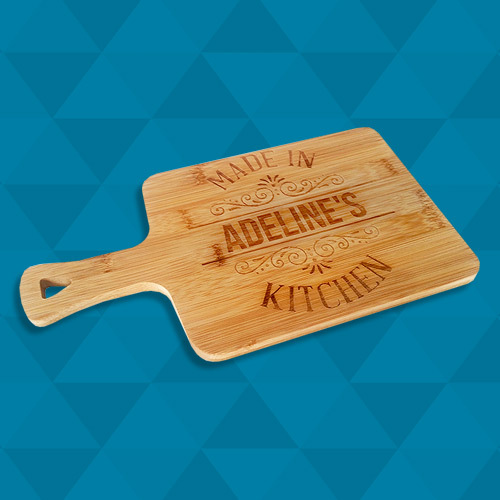 Our personalised laser-engraved bamboo serving boards made from quality bamboo are the perfect gift for any occasion! 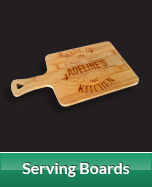 These impressive boards come in a variety of beautiful designs, all customisable with the name of the lucky recipient. Give a gift that will be remembered and used on a daily basis! 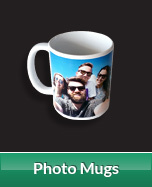 A personalised photo mug is the perfect affordable gift option for someone you love. Your chosen photo will be enjoyed and cherished with every sip. There's no better way to show that you care about someone, and you can even add text along with your photo too! 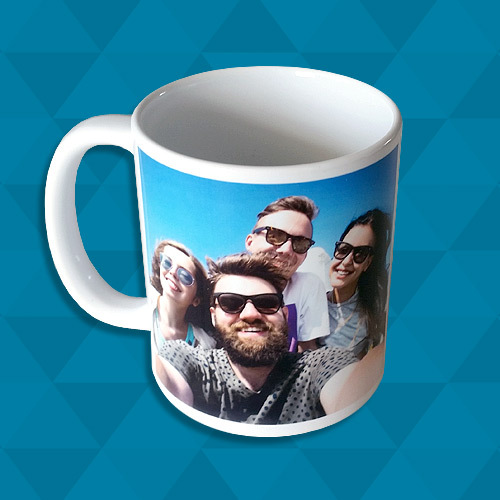 Made from quality ceramic, our photo mugs will be sure to impress. I am amazed at the quality it is beautiful could not be any happier with my order, communication was great they informed me that the pixels of a photo on a canvas that large and from a photo on my phone might be slightly of but it was amazing very clear I'll definitely be ordering all my canvas prints from here turned out better then I could have imagined highly recommend these guys and super quick turnaround thank you again your products are amazing looking forward to my next canvas. Unbelievable! This kind of service is almost unheard of these days! Super fast, super pleasant, super accommodating. Unfortunately the quality of my photos was inadequate for the canvas size I ordered so I allowed these guys full control to produce something acceptable that simply 'fitted my photos.' Very happy with the results! I didn't even have time to think about when they would arrive and they were already safely delivered! Highly recommend! I absolutely loved my experience with these guys. They were so helpful from the first minute I started chatting with them online. Very flexible with how I wanted my canvas to be and they even suggested some really good ideas. We went back and forth few times and they were really nice about it. They followed up to make sure I've received my canvas and that I was happy with it. I highly recommend them. Very happy with my framed print from Canvas Art Depot. Customer service was also exceptional...they were quick to provide a preview (always a good idea to check that the frame you choose is right for your print) and my print was delivered early the following week. The print quality and frame quality are excellent...thank you! These guys are so efficient. Placed order and within minutes had a response and proof to OK. Such a pleasure to deal with and prints arrived in no time. Love my prints, the quality is outstanding. Can't wait to order more. Ordered a huge 135x90cm Landscape canvas for our Church foyer, of a photo that has over 150 people in it and the quality is fantastic. We uploaded an 18.5MB photo and you can see every persons face. We are thrilled with the canvas and the speed of delivery. It was well packed and the communication from the company was excellent. 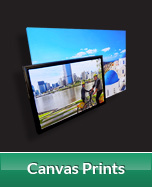 At Canvas Art Depot we offer customers the ability to create custom canvas prints using their own photos. 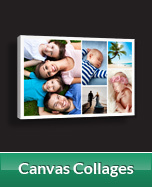 Create your own canvas wall art using our easy-to-use online canvas ordering system. Sign up and receive a FREE $10 coupon. We'll also keep you updated with all our latest offers.